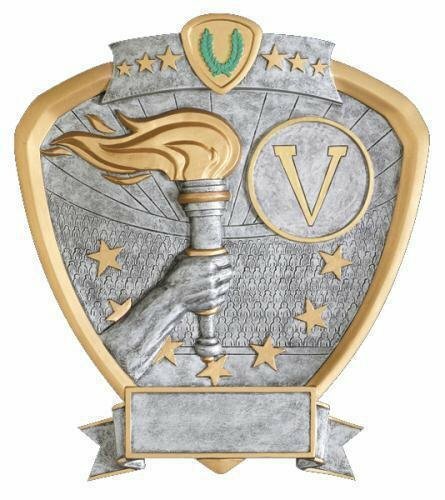 The Ebony resin Award has a metal victory torch insert. The smaller version is pictured here. The larger victory ebony award has an additional gold ring around the black metal victory insert. It comes with a black brass engraved plate and gold letters. 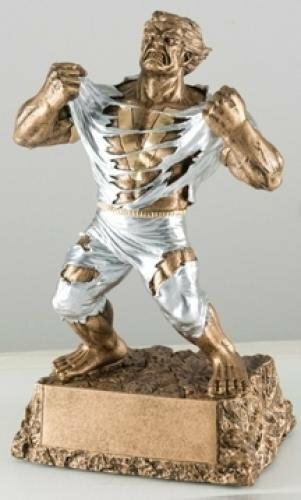 The male monster victory resin trophy has big muscles and intense expression. It's the perfect fun way to recognize the success of an monster project or major accomplishment. 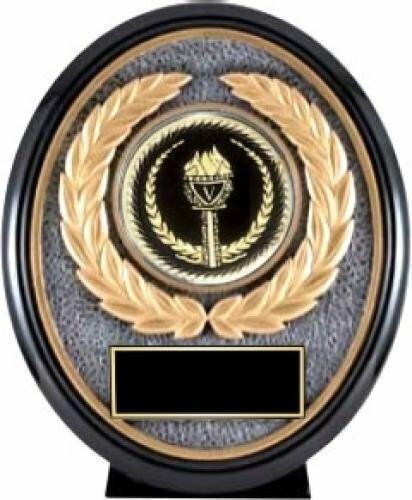 The monster award can be personalized with a 2" black brass disc insert as well as a black brass bottom plate. The laser engraved plates will have gold letters. A logo could be engraved on the disc at no additional charge if a .eps file is provided. 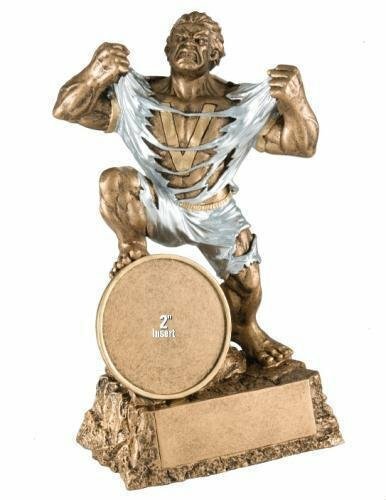 The Monster Victory resin trophy has big muscles and intense expression. Perfect fun way to recognize the success of an monster project or major accomplishment. It comes with a brushed gold plate with black laser engraved letters.